My little sister is graduating from college next weekend, and we're throwing a backyard barbeque party for her at our place! I'm so happy that I finally live somewhere that has a backyard, but it definitely needs some improving. 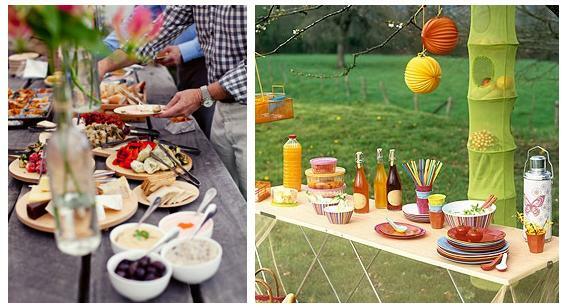 I really want to make it bright and happy and fun for our first cookout of the year, so I've been searching everywhere for a bit of inspiration! 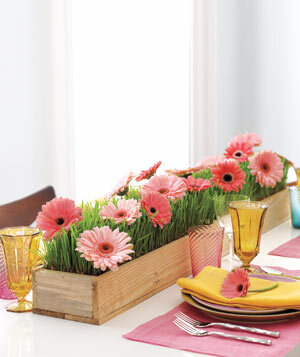 I remember this idea from Real Simple Magazine - it's so cute and simple! You just use drinking straws to make the flowers stand up straight - it's so bright & happy. I'm in love with these triangle banners - I've been seeing them everywhere lately. They look REALLY easy to make, and I'm thinking of using old magazines instead of fabric so that I don't have to buy anything that I don't already have. 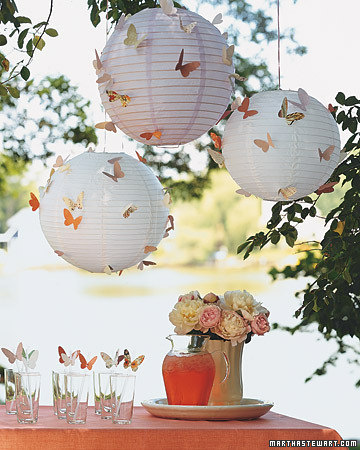 I think this idea is adorable, but I probably won't do it for this party. I don't own any globe lights anyway! 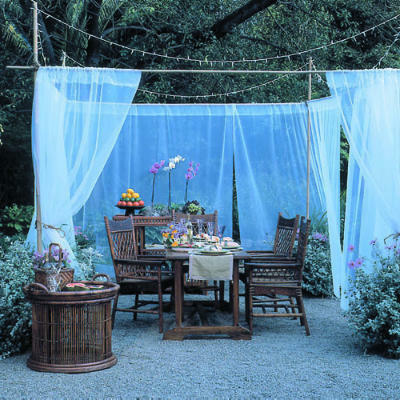 I love the idea of using long drapes or sheets to create a "room"outside. 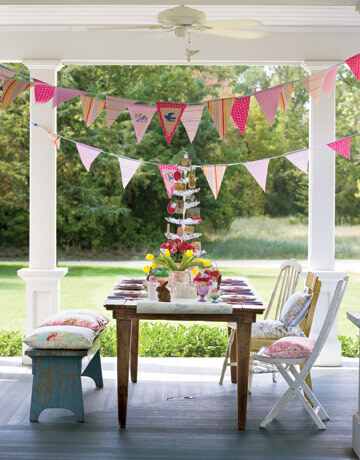 Obviously we won't be as formal as this, but I love the look of this porch! Love the colors in this - and again, the banners! 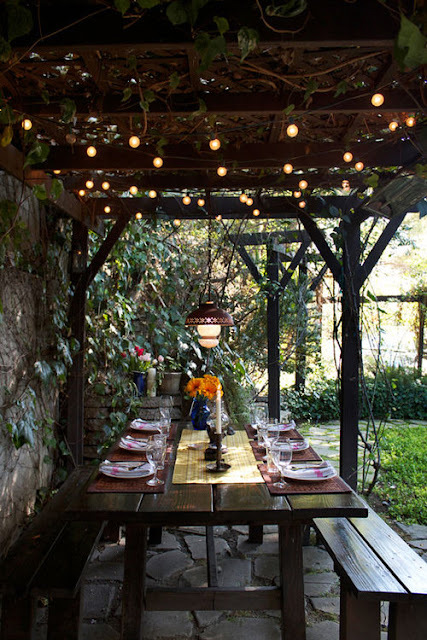 They really make the space look bright and cheerful! Such a cute & simple idea. 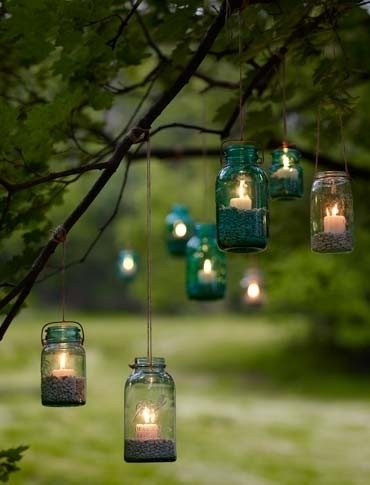 I have a lot of old jars I've saved, so maybe I could create my own version of this. I may even paint some of them so that the light shines through the colors. 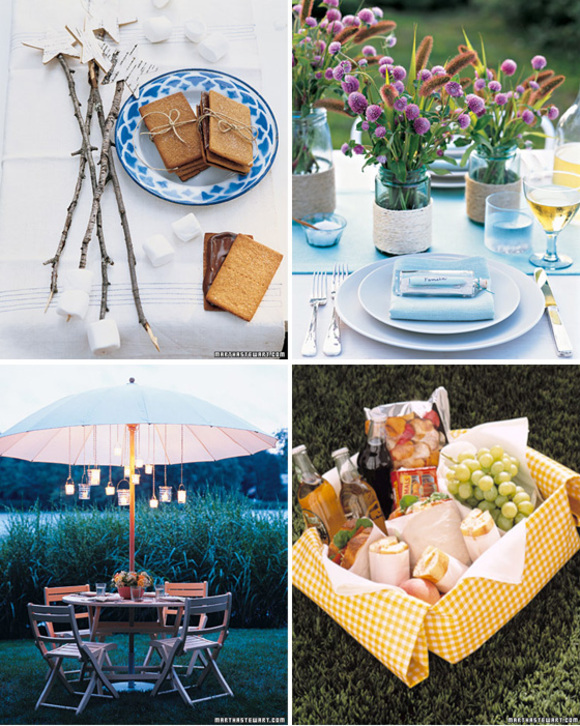 I love a couple of these ideas - the thought of making S'mores - AWESOME! We have a fire pit in the backyard & everything (the only thing right now that makes our backyard awesome), and what a fun idea to have supplies for making your own S'mores. I definitely think I'm going to do that. 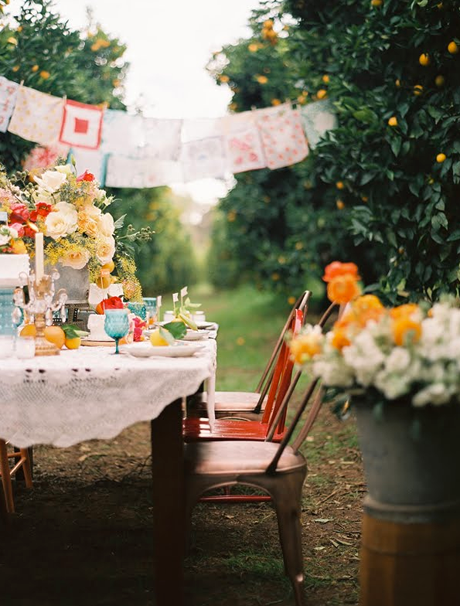 I love the idea of using wildflowers as part of the centerpiece of the table too. 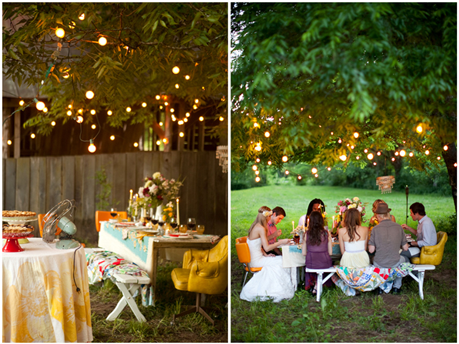 So many ways to incorporate all the bright & beautiful colors! Ugh - isn't it BORING!? Haha! 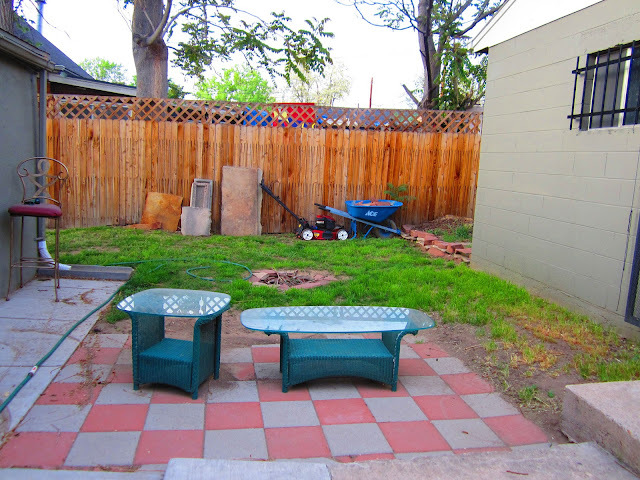 I love the fire pit that John dug out in the middle, but everything else.... ick. I gotta spice this baby UP! Any thoughts on other ways to make my backyard pretty for the occasion? SO much potential though! I'm a huge fan of twinkle lights -- they would look so pretty draped across the two buildings. And I have so much bunting (the little triangle banners) left over from my wedding that a friend made, would you like to borrow it?! They are green/purple/cream. If you don't use them, it's totally okay, I'll bring them to book club if I can find them.